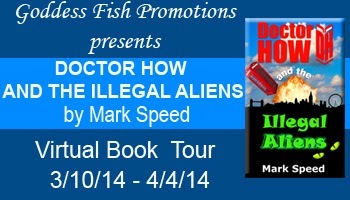 Goddess Fish Promotions is organizing a Virtual Book Tour for Doctor How and the Illegal Aliens by Mark Speed, a Science Fiction humor book available March 13, 2014. The tour will run March 10, 2014 to April 4, 2014. Prewritten guest blogs and interviews, along with promo posts, and reviews are available. Please specify which type of stop you’d like when you ask to host this tour. The book is available in PDF format for review. • One randomly chosen commenter will win a $50 Amazon/BN.com gift card.Congratulations to Luna Burning Moon. 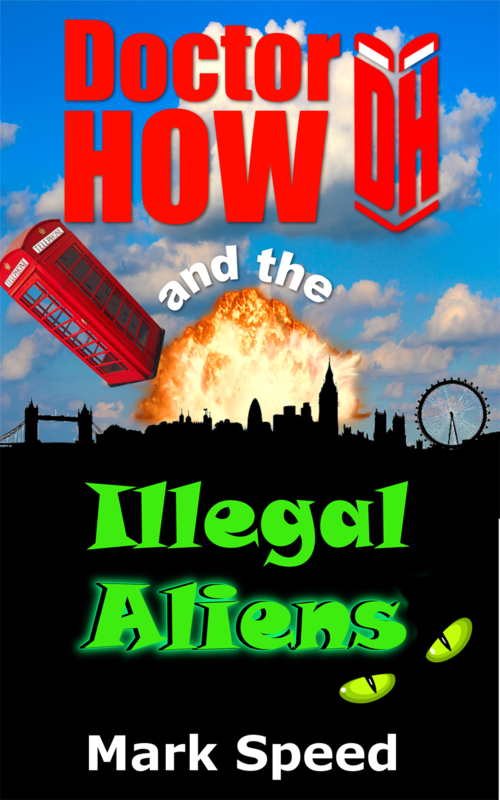 This is book one of the Doctor How series. I will be happy to accommodate a guest post at Andi's Book Reviews on 3/13. I can host an interview on March 11th. I can host this on March 31. I'd like to host on April 2nd for a guest post and review. Thanks! I can host a guest post on March 10. I would love to review it, but that's not enough time to read it. I'll take a guest post for March 14. How about March 28th at Beyond Romance? I can host an interview or guest post March 25 on Two Ends of the Pen. The Reading Addict can host for guest post (author's choice) on Mar. 20. Thanks!